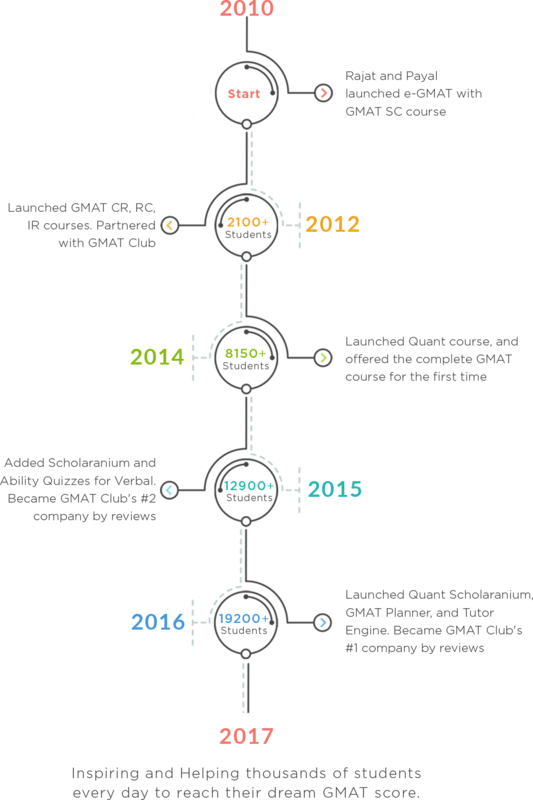 We are the only GMAT prep company that hires its instructors on a full-time basis to ensure that they are completely dedicated to creating, enhancing, and supporting our online offerings. The passionate Support, Marketing, Technology and e-Learning teams ensure a smooth journey to success for our students. 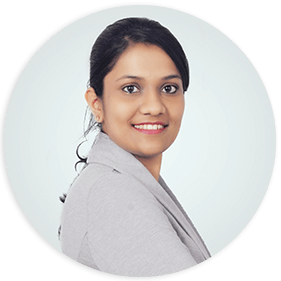 GMAT Club’s top rated expert, Payal is e-GMAT’s master course creator. She is passionate about making learning effective for all and constantly invents innovative ways to help students succeed. She invented the meaning based approach in Sentence Correction, built the Prethinking approach, and designed the reading strategies for RC. 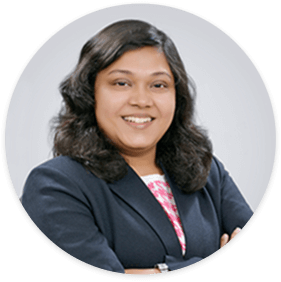 A top expert on GMAT Club, Krishna guides e-GMAT students towards success. 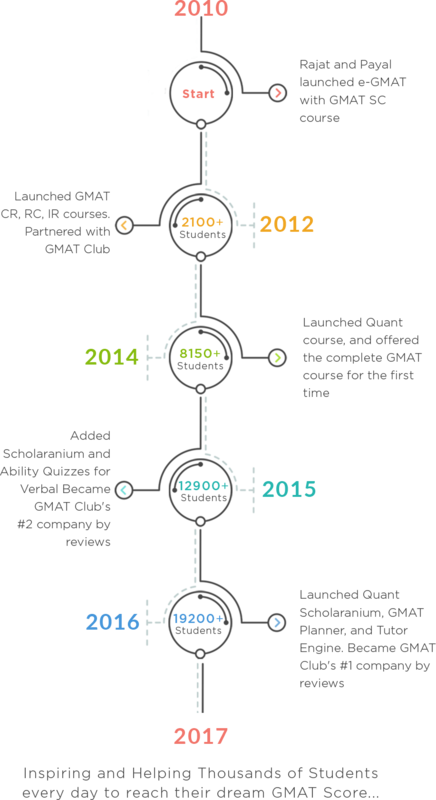 At e-GMAT, he has donned multiple caps simultaneously including – but not limited to – Course Creation, Live Session Instruction, Student Support, Strategy Consultation, Marketing, and Operations. In his live sessions, students experience his amazing knack for simplifying any complex problem. Ashutosh, a subject-matter expert at e-GMAT, is always on the lookout to learn new things. 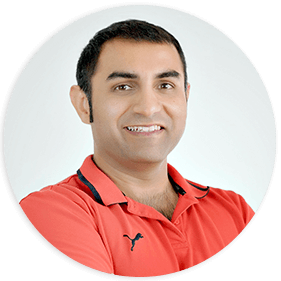 He is extremely passionate about making the process of learning Quant a simple endeavour for test takers, the very reason that you’ll always find him immersed in researching the intricacies of various math problems day in, day out. 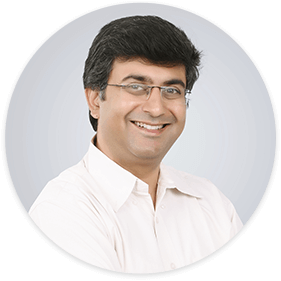 Ashutosh always focuses on two aspects in his life: self-discipline and relentless practice. In his leisure time, you’ll find him either blogging or playing cricket. A Gold Medalist from NIT Allahabad, Kanupriya works as a Subject Matter Expert at e-GMAT. 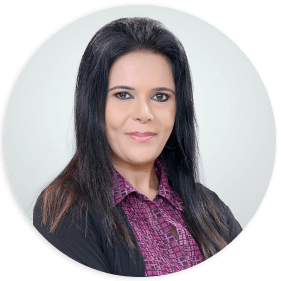 Despite being a gifted creative genius, she firmly believes in diligence – no wonder she has reached the top echelons throughout her academic and professional life.Bringing her impeccable SM expertise to the table, Kanupriya always ensures that her students get the required guidance at the right time. In her free time, you’ll find her dancing, listening to music, and exploring new places. Shraddha’s philosophy – Success comes to those who work for it diligently. 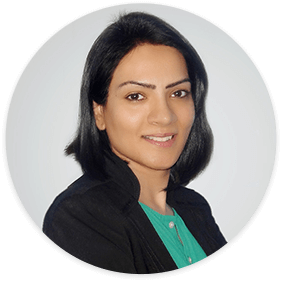 A top-rated expert on GC, Shraddha has authored numerous articles, many of which have garnered 100+ Kudos. 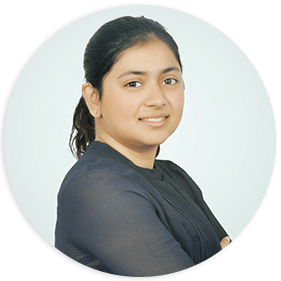 Once the most thanked expert on GC, Shraddha was adjudicated the winner in “Best GMAT expert” competition in 2012. 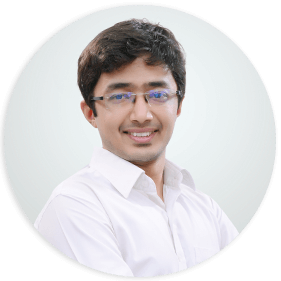 A post graduate from IIM Nagpur and a member of the Quant team at e-GMAT, Tamal believes in doing Smart Work: he delivers the best output in the least amount of time. Teaching and mentoring MBA aspirants is his passion, and he firmly believes that mathematics has the power to explain everything in the universe. A constant learner, Tamal loves to read autobiographies of eminent personalities in his free time. “Only those who risk going too far can possibly find out how far one can go” describes Manas’s personality. He always likes to experiment new things in life and takes every situation as a Sports match – you win some, you lose some, but you never give up. Juhi is a zestful person with diverse interests. A post graduate from IIT Roorkee, Juhi effortlessly handles even the most difficult of situations. You’ll almost always find her reading up the latest research on consumer behavior. In her free time, Juhi indulges herself in a wide-variety of activities ranging from binge-watching sitcoms at home to going out on an unplanned adventure trip, which might as well include casually swimming across a river! 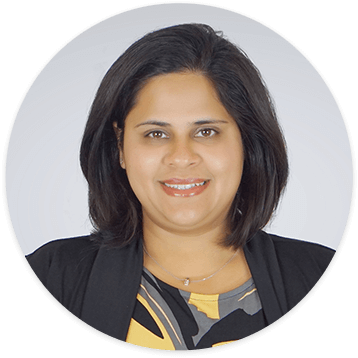 The Customer Success Champion at e-GMAT, Zinnia is a self-driven diligent individual focused on providing elegant solutions to students who come to her for help. When asked for time-management advice, she says, “Don’t wait for the perfect moment. Take the moment and make it perfect.” In her free time at home, you will see her standing in front of a large canvas, creating the most beautiful paintings, and forgetting the rest of the world in the process. 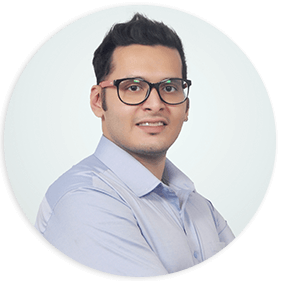 Aditee works as a Customer Success Champion at e-GMAT who not only interfaces with students but also ensures that they receive ‘better than the best’ support. An inquisitive and enthusiastic learner, Aditee has donned multiple roles ranging from handling sales and after-sales for a coffee company to successfully managing the operational activities of 28 clinics spanning across 4 cities before joining e-GMAT. In her free time, Aditee reads novels, watches tv shows, or takes up a DIY project. Archit is not only extremely energetic but also equally enthusiastic a person. 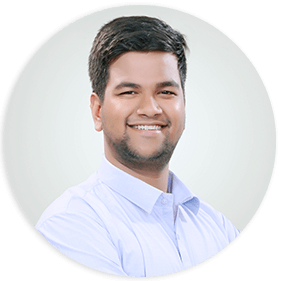 As a member of the operations team, he plays the crucial role of Customer Success Champion, and, with his flair for problem-solving, Archit ensures that students receive the right guidance at the right time. Asif is a firm believer of the notion that miracles can be achieved through perseverance and dedication to our goals. An engineer by education, he is a strong believer in the disruptive potential of technology and of great content in education. In his spare time, he likes to unwind by reading some thought-provoking, philosophical texts. He is also a huge car and bike enthusiast, and loves tinkering with all things tech. 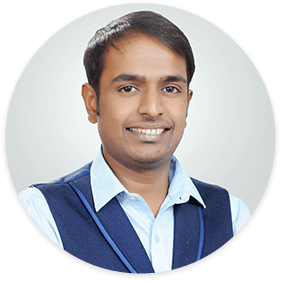 A Commerce graduate by his education, Kartikey works as a Digital Marketing Manager at e-GMAT. Not only is he the youngest member of the e-GMAT team, but he is also fondly described as an innovative marketer by his team members. 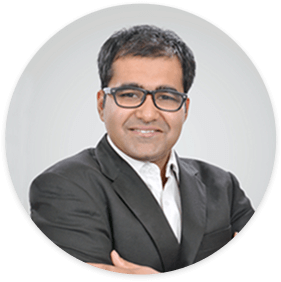 An ardent follower of Simon Sinek, Kartikey has an in-depth knowledge in a wide range of areas in marketing. In his free time, Kartikey loves to explore new places – mostly historical monuments. “Curiosity about all aspects of life is the key to a Creative Mind” defines Nayeem. He is the Creative lead and Branding expert who is responsible for branding and advertisement creatives. His creativity and avidity helped him to recognize, understand, and design fresh approaches to advertising and branding. 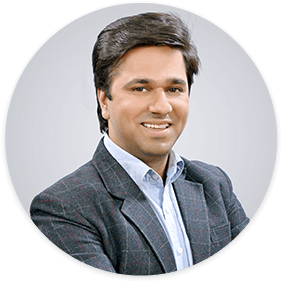 A post graduate from IIM Indore and a former banker who believes that nothing is impossible Sundeep sums up his outlook towards life in a simple – yet profound – statement: “Continuous improvement and learning is the essence of a quality life”. 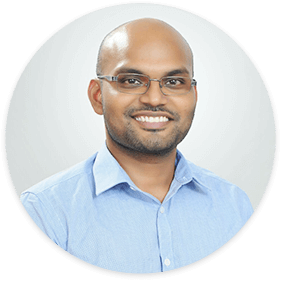 At e-GMAT, Sundeep loves to work closely with students to guide them towards success, identifying their problems, creating custom strategies & study plans, and helping them reach their target scores. Working relentlessly to make e-GMAT’s content more visible and accessible to the future MBAs of the world, Suheb works as an SEO manager at e-GMAT. 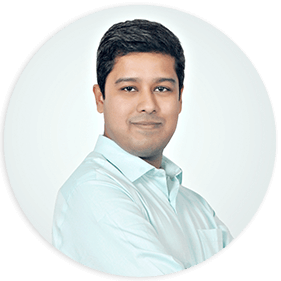 An innovator at heart, Suheb always questions the status quo of SEO practices. He has an amazing knack for coming up with creative ideas to prank people, leading him to being often referred to as ‘The Curious Case of Suheb Hussain’ – though he isn’t growing any younger by the day. 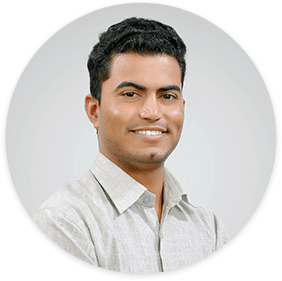 Ujjwal is a Digital Marketing Manager at e-GMAT. 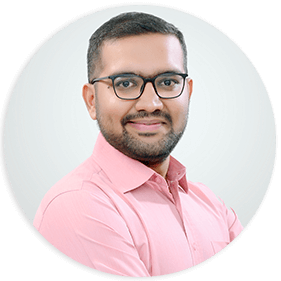 An MBA graduate himself, Ujjwal understands the difficulties faced by MBA aspirants and is passionate about helping them discover the value of e-GMAT. A challenge-seeker by nature, Ujjwal is driven by his undying determination to always give his best. In his free time, if he is not lounging around watching sports, you’ll probably find him relentlessly chasing the 8-ball on a pool table. 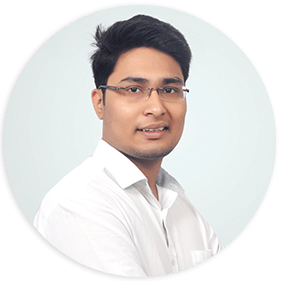 A post graduate from IIT Roorkee, Atul leads the ELE team groomed at e-GMAT. Using his seasoned project management skills, he has played a crucial role in the design and development of e-GMAT Quant, SC, and Master Comprehension courses, and is passionate about creating the next generation e-learning methodology. 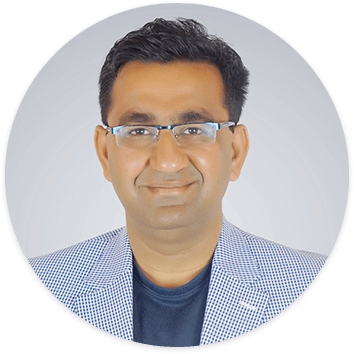 Highly skilled in creative designing and enhancing e-Learning courses, Anish believes that prioritizing the tasks at hand is the key to getting things done. His love for nature and appreciation towards fine arts are an indication of the firing off of the neurons in his creative brain. 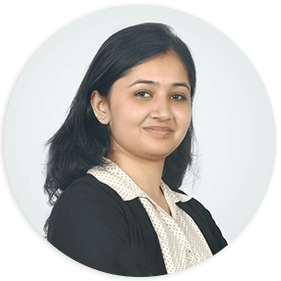 A core member of the e-Learning team, Bratati is an MBA graduate from IIT Roorkee. 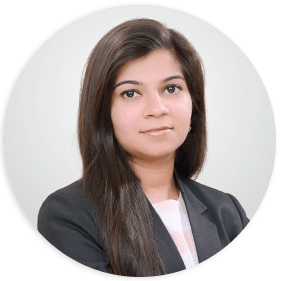 She puts her creative right brain to work along with her logical left brain to create world-class learning modules at e-GMAT using instructional graphics, helping numerous GMAT aspirants in achieving their goals. 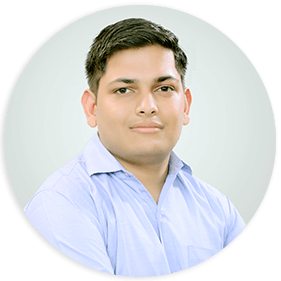 Himanshu always strives for perfection in his products and firmly believes in the words “There is always scope for improvement. You just need to look for it at the right places.” He believes that focus on learning is the most important trait required to grow in both personal life and professional life. With his love for innovative and creative ideas, he constantly strives to build world-class products. 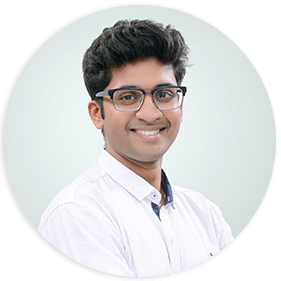 A post-graduate from IIT Roorkee, Lohith is a creative thinker who works as an e-Learning expert at e-GMAT. Lohith’s philosophy is “There is always a way to accomplish our goals. Let’s make it a fun one.”. He advocates that improvement in efficiency is achieved by competing with oneself and at work, you can see him constantly working towards the path of excellence. In his free time, you’ll find Lohith playing cricket, or indulging in some creative video editing projects. A graduate from IIT Roorkee, Sujeev believes that teaching a concept should never be complicated. 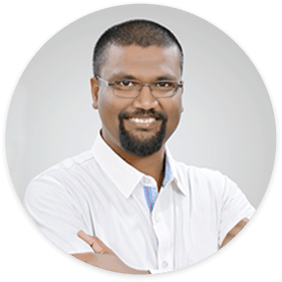 With this belief and his passion for creative design, Sujeev puts his heart into creating beautiful and interactive e-learning courses. Sujeev’s passion is to make learning an enjoyable experience for e-GMAT students. 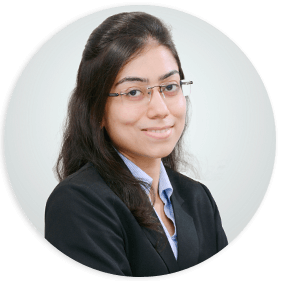 An MBA graduate from IIT Roorkee, Suman is an e-Learning Expert at e-GMAT. He loves to create beautiful audio visual content that explains intricate and complex concepts with utmost elegance and ease. When asked about how he manages to teach complex ideas in such simple fashion, he says that his design philosophy is “Keep it simple, stupid.” In his free time, you can find him either playing cricket or reading a Sidney Sheldon novel. 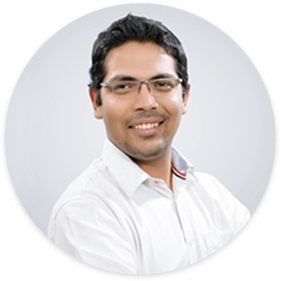 Abhinav is e-GMAT’s core architect. He constantly looks for means to provide more targeted learning and practice to our users. Abhinav is a serial inventor. His recent invention – an automated curtain control system for 20-feet tall curtains – was built using parts from a toy car. 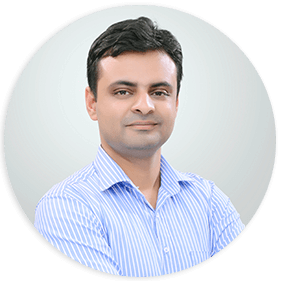 Shantanu – the technology wizard – leads the technology team at e-GMAT. A firm believer in the significance of technology in transforming the impact of online education, he personalized and gamified several platforms in order to help students achieve unparalleled insights into their preparation. Scholaranium platform is a well-known example for the same. A graduate from NIT Srinagar, Bharat is an experienced Web Developer and is deeply passionate about leveraging technology to improve user experience. 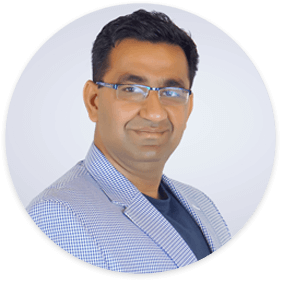 Bharat excels in tackling the challenges of multi-device website development, ensuring websites look and work well on all the latest devices. 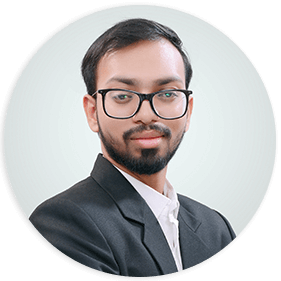 Abhishek is responsible for creating the complex data management systems that are responsible for supporting e-GMAT’s website that is utilized by tens of thousands of students every day. 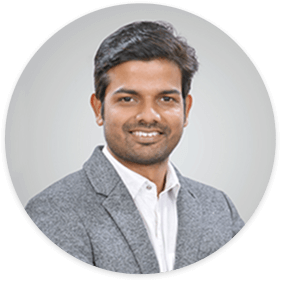 Known for his in-depth knowledge and his unparalleled speed in building any application, Abhishek utilizes his skills towards building products that provide an amazing experience to e-GMAT’s students. When not busy building products, Abhishek routinely laces up his boots and either goes out for a jog or plays badminton. A graduate from NIT Srinagar, Keshav loves the art of programming to its core. He believes that improving one’s programming skills also improves one’s thought process. He puts his heart and soul into making an interface simple enough for anyone to use and, at the same time, bringing in sophisticated beauty to it. When Keshav is not plugged into the Matrix, he loves to spend his time in traveling, hiking, and getting immersed in the books in his library. 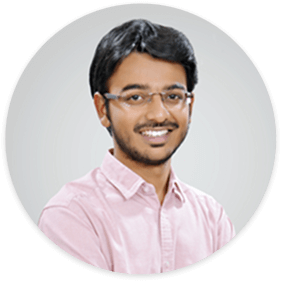 A highly motivated individual, Sanchari works as a full-stack developer at e-GMAT. 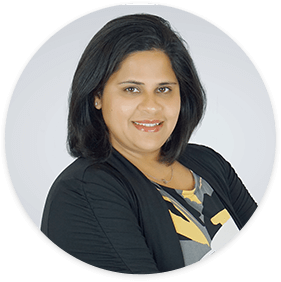 A pro-active problem solver and an avid tech enthusiast, Sanchari believes that technology – when utilized the right way – can do wonders to improve a person’s quality of life and efficiency in reaching goals. She always says – “Every experience is an opportunity to better ourselves.” In her free time, Sanchari loves to indulge in her hobbies such as sketching mandala art, dancing, and visiting new eateries.